Saturday 21st of March is World Down Syndrome Day. It's a day of sharing information, of educating one another and offering support, as well as a day to share our stories and celebrate together. Just £1 is all it takes to make a difference to the Down's Syndrome Association. Money goes towards medical research, support for families and educational resources as well as campaigns that benefit us all. Downs Side Up is fundraising on their behalf this year. 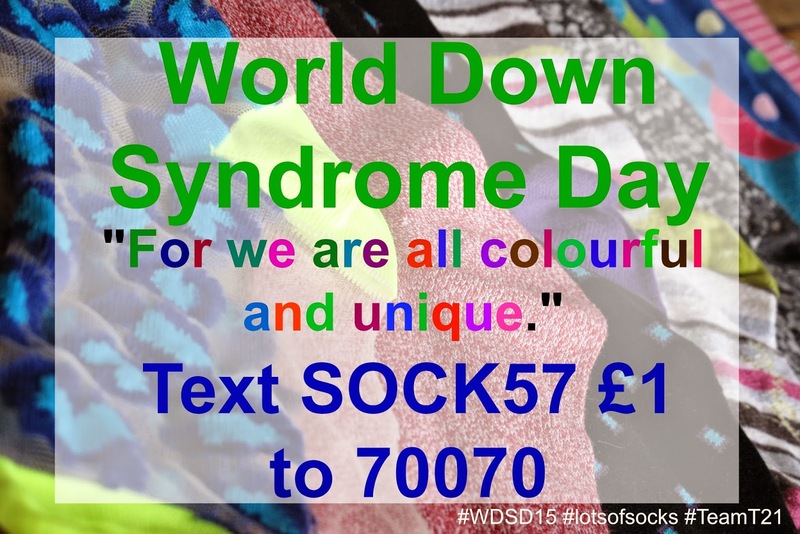 Text SOCK £1 to 70070. Other support groups are raising money locally and Down Syndrome International supports professionals and families around the world. I will be personally donating an additional percentage of what we raise to this global charity. Share the information, articles and the blogs that you find useful with others. We have teamed up with Firefly to create a bright, easy to read infographic for example. The facts about Down's syndrome is here on Pinterest. The focus from the charities this year is on keeping active for health and wellbeing. How does your family like to keep fit together? Do you play sport, or walk the dog? 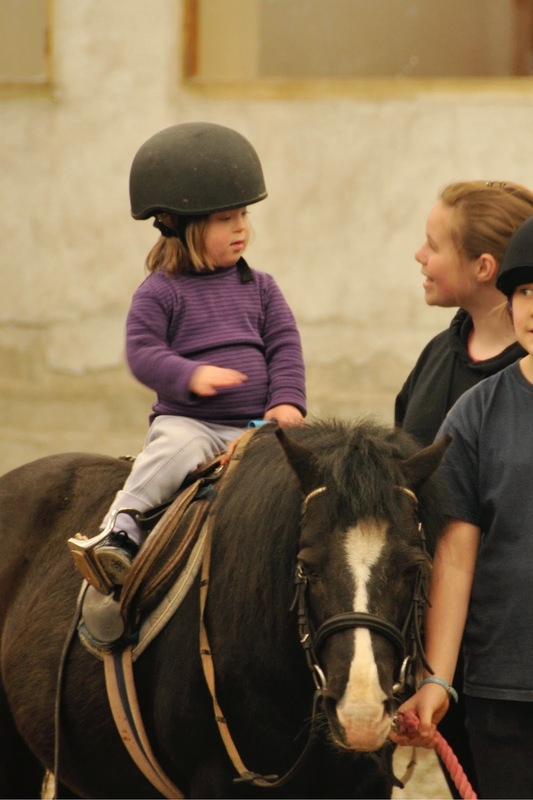 Does your child enjoy swimming or horse-riding? Natty: Horse riding is one way of keeping active. 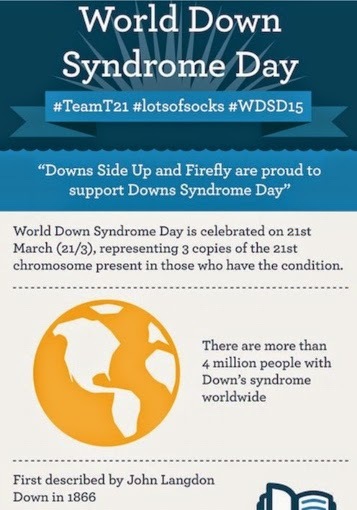 There are some truly incredible videos coming out for World Down Syndrome Day this year. Some musical, some educational, some celebratory and others more poignant. You'll find a selection here in the WDSD15 playlist. One of my personal favourites is this music video about friendship, support and the independence that comes as a result of that. There are lots of amazing books on the market that will educate and support. See our list for ideas. We are giving a donation of £2 from every hard copy of I Love You Natty sold during March to the Down's Syndrome Association and you could do worse than buy a copy for your school or home. It's also now available as an iBook.